I highly doubt I am alone in saying that Jack Bauer is one of my heroes. 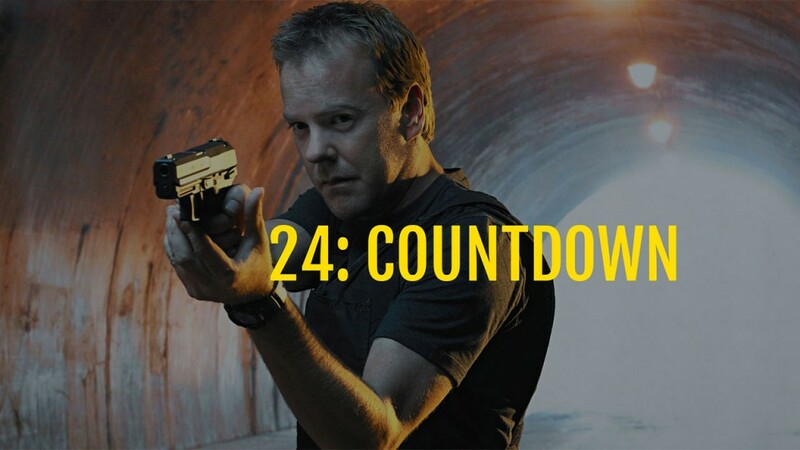 Yes, I know that 24 is a fictional show. Yes, I know that Jack Bauer doesn’t really exist, that is the creation of Joel Surnow, Howard Gordon, and Keifer Sutherland. But Jack Bauer is one of my heroes. Let me give you a few reasons why. Jack Bauer loves this country. Jack is a patriot. Jack loves this country and made it his highest priority to serve and protect it. This feeling and dedication isn’t fictional, it can be found in countless of our service men and women from the newest recruit to senior officers and seasoned special forces personnel. It can be found in Law enforcement the country over. It is found in regular citizens like you and I. It’s a burning feeling deep within our souls that we love this country and we want it to be here for our children and grandchildren. Jack Bauer doesn’t take “no” for an answer. I’ll be honest, at times, he may go a bit far. But that kind of dedication and commitment is admirable. He finds a way. That is a trait I wish I had more in my own life, and one that I want to instill in my children. Jack isn’t perfect. Jack is a true to life hero. He has his demons. He has his faults. He doesn’t always make what would be the right choice. But he always gets back up. He always answers the call of duty. He struggles. He falls. He relapses. He’s overcome with guilt, despair, hopelessness and anger, but he gets back up. He moves forward. He keeps going as best he can. That is a hero. Jack is truly a tragic hero. He doesn’t have a perfect life–far from it. But he is trying. He holds in his mind a ideal, a goal for what this country should be. At times he’s appalled and disgusted by the things that his superiors and the government does, but he never loses sight of What he holds dear, protecting the country. Throughout the seasons of 24 does Jack do things I wouldn’t do? Sure. Does he do things that I’d disagree with if a government official did today? Yes. But what I love about Jack Bauer is that he is real. He has struggles. He has a conscience and he fights with it. He battles demons. He is willing to give all that is necessary. He carries wounds and scars, both physical and emotional. He falls down, more than once–but gets back up and keeps going. Question: What do you love most about Jack Bauer?